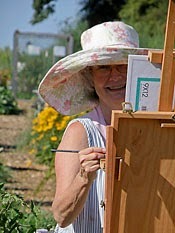 It's the start of the plein air season and you know what that means… outdoor workshops everywhere! Start by asking what you want from the experience. Be specific. Do you feel something is lacking in your work? If so, what? Something you missed in school or something you don't fully understand? 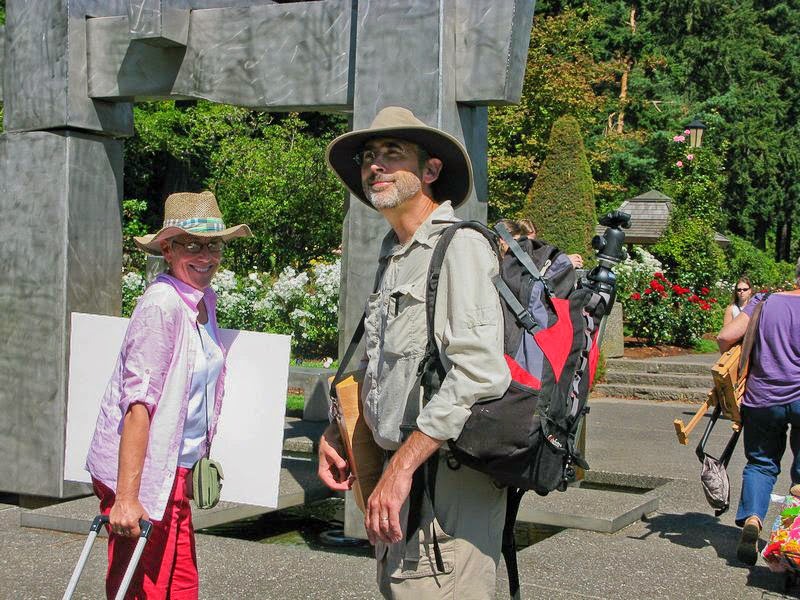 Have your kids become self-sufficient enough for you to take leave and travel, or have you recently retired and are looking to get back into the game? Do you feel you've fallen into a rut or wish to root out a few bad habits? 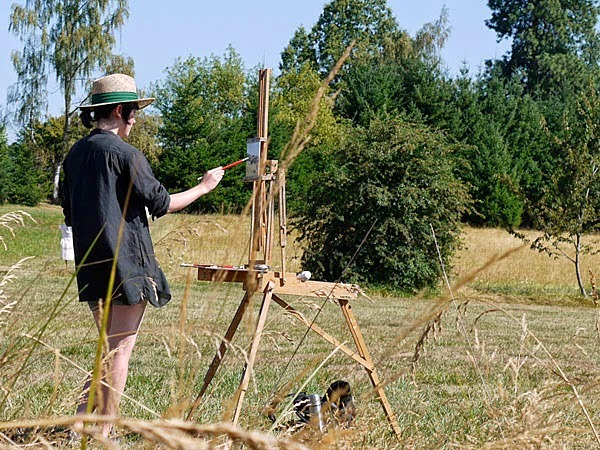 Or, are you simply looking for a new challenge and want to paint at a higher level? All of this has applied to me at various times and motivated me to pursue more instruction. Admittedly, it can be difficult to find the right workshop. Why? Because there are good painters who can't teach, and bad painters who can, and your goal should be to find someone who is capable of doing both. Plus, in some areas of the country the options are few and far between, making travel a necessity and sometimes a burden. So how do you go about finding the right workshop? By asking around for referrals. Once you do settle on a workshop contact the instructor and ask him or her about their teaching methods – but also ask for referrals from previous students. No teacher should expect you to commit to a costly and time-consuming experience on their say-so without offering an idea of what it will be like. If that instructor can deliver the goods then approaching a few of his or her students for a few bona fides shouldn't feel awkward. But once you do sign up come prepared and ready to work. Come to class with an open mind and let the instructor deliver the voodoo that appealed to you so much. Sure, you should show up with high expectations but don't expect to produce a lot of finished work. Much of what you will learn over the next few days will have an immediate impact on how you paint but even more of it may feel like the teacher is sowing seeds for later harvest. This is good. The best workshops keep generating eureka moments years afterwards. 1. An immediate but fair evaluation of your present painting ability. 2. A simple strategy and a few goals scaled to the time you will be spending together. 3. Teaching what can be demonstrated, coupled with generous one-on-one instruction. 3. A critical, but respectful and encouraging environment to take risks in. 4. An efficient and organized itinerary. 1. Vague or ill-defined goals for the participants. 2. Insufficient painting time for you. 3. An instructor who makes the experience all about themselves. Even if you are working with a master don't expect to become one yourself in two, three, or five days. What you can learn from a workshop is how to become a master in time. The thing about painting is there are no short-cuts. It really is a 10,000 hours sort of endeavor. A good teacher can point you in the right direction but you will have to make the journey yourself. Here are a few workshops I will be teaching over the next six months. Click on the classes listed above. If any of them appeal to you shoot me an email for more information, or visit the workshop page on this website.